On one hand, IIT inverts many 20th century (Anglo-American) ways of dealing with consciousness in that it's said that it moves from consciousness to arrive at the physical; rather than starting with the physical in order to attempt to arrive at consciousness. It can also be that IIT moves to the physical only after it's got its Cartesian house in order. The Cogito, of course, was the starting point of Descartes' enterprise. On the other hand, what is certainly not Cartesian is that it's also said (or implied) that IIT begins with neuroscience/the brain and then journeys to consciousness. This, of course, directly contradicts what was said in the last paragraph. 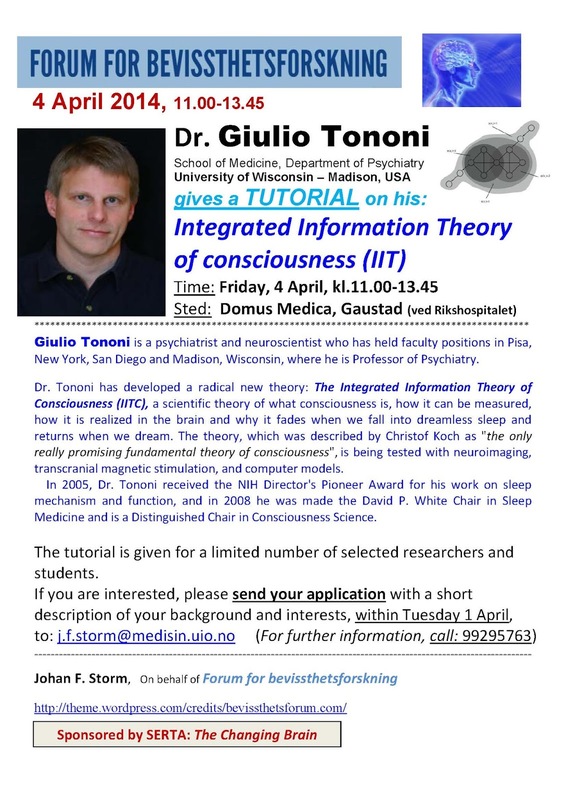 In which case, if IIT also sees conscious states (or experiences) as “immediate and direct”, then how can neuroscience come first? This may depend on what's meant by the idea that neuroscience must (or does) come first. Even if a given neuroscientific basis (or reality) were necessary and sufficient for consciousness, that still wouldn't mean (philosophically) that such a reality must come first. Thus coming first or second may not matter. As long as consciousness (its immediacy, directness and phenomenology) and the neuroscience are both seen as being part of the same problem or reality; talk of the primary and the secondary can't be that important. To get back to Descartes. Let's take the use of the words “axiom” and “postulate” in IIT to begin with. This implies a kind of Cartesian deductivism; though, in IIT's case, I find the words a little strained in that the moves from the axioms of consciousness to the postulates of its physical mode (or is it a substrate?) are never, strictly speaking, logical. The only non-Cartesian aspect of the above (as it seems to me) is the claim that consciousness “exists from its own perspective”. Indeed it's hard to work out exactly what that means; at least as it's expressed in this bare form. Isn't this the Cogito written in a more contemporary manner? In other words, that which many 20th century scientists and philosophers have out-rightly denied (or seen as "unscientific") is here at the very beginning of the philosophical enterprise. 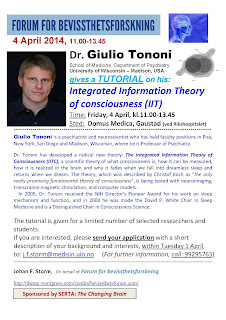 In this internalist/individualist manner, Tononi speaks of consciousness as being “independent of external observers”. If you take this Cartesian approach to consciousness, then one automatically rules out certain alternative theories of mind which have been alive and well in the history of the philosophy of mind (at least in the late 20th century). For example, IIT rules out functionalism. Functionalism (or at least functionalism at its most pure) has a notion of mental functions and behaviour which effectively rules out experience; or, at the least, it rules out (or ignores) the phenomenological reality of consciousness. The major and perhaps most obvious problem with functionalism (at least vis-a-vis consciousness and phenomenology) was best expressed by Christof Koch in 2012. He claimed that much work in the philosophy of mind utilised “models that describe the mind as a number of functional boxes”. That's fair enough as it stands; except for the fact that these boxes are “magically endowed with phenomenal awareness”. Sure, the functional boxes may exist, and they may have much explanatory power (in the philosophy of mind); yet what about such things as Koch's “phenomenal awareness” and the controversial qualia? One functionalist problem with an entirely Cartesian position on mind (or consciousness) is that it's indeed the case the consciousness seems to be direct and immediate. However, to some functionalists, this is only a “seeming”. (Daniel Dennett would probably call it an illusion.) In other words, simply because a conscious experience (or state) appears to us to be direct and immediate, that doesn't automatically mean that it is direct and immediate. According to some functionalisms, even this immediate and direct phenomenology doesn't need to go beyond functionality (or mental functions). In other words, it's still all (or primarily) about functions. More clearly, this sense of immediacy and directness is itself a question of mental functions. In this case, the mental function which is our belief - and our disposition to believe - that consciousness is immediate and direct! That belief also needs to be accounted for in functionalist terms. (In the way that the immediacy and directness of an experience itself may require a functionalist explanation.) That is, why is it the case the an experience seems direct and immediate to us? What function does that belief (or experience of an experience) serve? A conscious state (or experience) may seem to be direct and immediate simply because we believe that it's direct and immediate. Moreover, we also have a long-running disposition to believe that it's direct and immediate. Or, again, the sense that an experience (or a mental state) is direct and immediate (or the experience that an experience is direct and immediate) doesn't automatically mean that it is. Doesn't this position leave out the phenomenological factors (or reality) of an experience (or conscious state) which are above and beyond their being direct and immediate? On the one had, there's the phenomenological reality of an experience. And, on the other hand, there's its apparent (or real) directness and immediacy. The two aren't the same even if they always occur together. 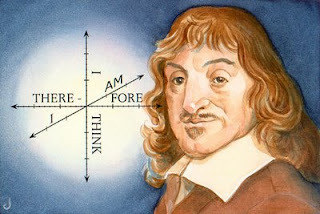 1 It can be said, in retrospect, that it would have been more accurate for Descartes to have said that he started with consciousness rather than with the “existence of the self” (or the “I think”). After all, the self/I is much more of a postulation than brute consciousness. Koch, Christoph (2012). Consciousness: Confessions of a Romantic Reductionist, MIT Press.